Blasting around the galaxy and seizing artifacts of long forgotten planets is not what the new recruits had in mind when they signed up for an intersolar delivery job. Steady pay, some work experience, sure -- but battling sha assassins and overthrowing outer rim tyrants was not in the job description. Luckily, the captain just recruited a new secret weapon, a young boy named William. The boy may not be very tall or strong but he makes up for it with a fantastic eyesight. Uncontrolled visions of flickering lights brush past the boy’s eyes warning him of upcoming dangers. So, if the inductees aboard the M.E.S. 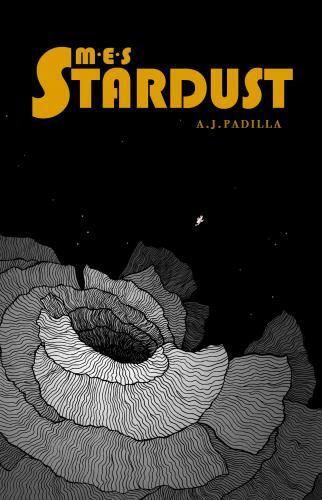 Stardust hope to get home with a paycheck -- and all their limbs intact -- then they have no choice but to follow Captain’s orders and a boy’s wild visions in the starlight. Alex is an indie author from San Diego, California who works in the tech industry by day and writes out his weird imaginings by night. His debut novel, M.E.S. Stardust, is a sci-fi adventure that’s fun for the whole family. He’s currently working on a sophomore effort, a dystopian comedy that will definitely NOT be a family read. He can be reached at ajpwriting@gmail.com or on twitter @ajpwriting.